Discover the majestic Acropolis and stand in awe before Parthenon’s architectural masterpiece; complete your time-travel to the Acropolis Museum, one of the best-rated museums in Europe. Explore the history & architecture of ancient Athens in all its glory during an amazing private guided tour to the Acropolis & the new Acropolis Museum. Get ready to admire the masterpieces of the Golden Age and the amazing Parthenon! Complete your experience with a historical tour of the impressive Acropolis Museum to discover unique exhibitions and original artefacts from the Acropolis that date back to more than 2.500 years ago. A fascinating journey into the secrets of antiquity is about to begin! The tour leaders were great; informative and interesting whilst being perfectly friendly and encouraging questions. Really good and will be booking with them again when we return to Greece! Evita is an excellent guide for families, able to engage with school-aged kids and their parents! Greeking.me made all the difference between enjoying and learning about the sights we visited, versus just looking at things in a rush because the kids were cranky. We will certainly contact greeking.me again if we return to Greece! We took a tour of the Acropolis and the Acropolis Museum with Alexandra. Alexandra was very friendly, knowledgeable and accommodating of our 2 young children. Although we booked only a day or two before, Nikos responded quickly to my email and met us at our hotel with a gift of wine to make arrangements. Greeking.me is a professional and active tour operator. The tailored tour we had definitely made our short trip to Athens a most memorable experience. Xenia, our guide, was a perfect match for us!We will certainly remember her and this lovely and most instructive day for a long time. This is a hearty recommendation to anyone who wishes to get to know Athens at first hand. With the assistance of your expert licensed guide discover the wonders of the ancient Acropolis and the breathtaking Acropolis Museum. Stroll up through winding cobbled streets to reach the rocky hill, the 'navel of western civilization'. Walk through the Propylaea, the imposing marble-gate of Acropolis, admire the Temple of Athena Nike and get the chance to stand in awe before the Greek maidens – the Caryatids – that support the Erechtheion porch. The Parthenon, the ultimate marvel of the Acropolis, awaits to show off its architectural beauty and its harmonious structure; find out all about the secrets behind its construction! Complete your journey through the marvelous world of ancient Athens with an engaging tour in the Acropolis Museum; enjoy the facilities of a 21st century-class museum and discover thousands of artifacts; from voting offerings to Gods, everyday objects, marble statues of exquisite artistry and an entire ancient settlement just below your feet. The Acropolis Museum will make your jaw drop! With the company of a knowledgable and enthusiastic licensed tourist guide nothing will get past you; prepare for a fascinating journey into the world of ancient Athens and really understand the reasons why this city-state affected the course of the western thinking. A private guided tour in the Acropolis and the Acropolis Museum. The spoken language is English, Spanish, German or French. Prepare yourself for an exciting experience & bring along your camera so you can capture the best views of the Acropolis. A pick-up from your hotel can be arranged, if it is located in downtown Athens. Please send us an inquiry. Very much! Our expert family-friendly guide will provide fascinating info & easy to understand stories about the Acropolis and the greek mythology, that will make this tour an unforgettable experience for your little ones! For families, we also recommend our amazing Acropolis for families tour. 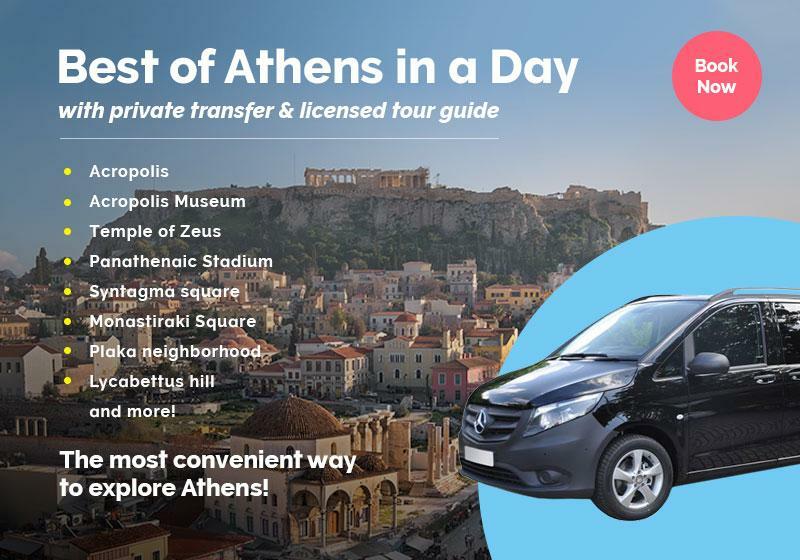 The "Acropolis & Acropolis Museum Private Tour" is available as a private tour, in order to further customize your experience to fulfill your specific needs & expectations. Simply tell us your preferences in the booking form below.